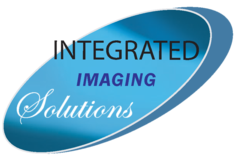 Integrated Imaging Solutions provides a full range of services tailored to meet your organization's copying and printing needs from desktop copiers and printers to high volume copiers and departmental network printers. Here at Integrated Imaging Solutions we provide high quality repair and maintenance agreements for photocopy equipment and laser printers. We work on both color and black/white equipment. We sell new and refurbished copiers and printers. We rent refurbished copiers and printers both short and long-term. We are more than happy to provide all-inclusive service agreements - which includes toner, parts, labor and travel. Our skilled technicians are experienced in the repair and service of Toshiba, Sharp, Lexmark and Oki copiers and MFPs as well as Lexmark, HP and Brother Laser Printers. We are fully familiar with networks and can work closely and cooperatively with an organization's IT provider for smooth integration and troubleshooting if necessary. 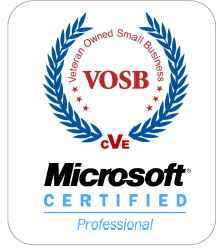 Customers include Federal Government Agencies, Law practices, churches, non profits and various private sector small businesses. Knowing the level of confidence and trust that our customers have are what give us the added motivation to keep improving our services. We are proud to say that most of our existing clients have been with us for at least 5 years! If you're in Montgomery County, Howard County, Prince Georges County or other suburban Maryland locations and are looking for high quality service and support for your copier repair in Maryland, you couldn't have come to a better place! So next time you're looking for printer repair in Maryland at very reasonable costs, call the experts at Integrated Imaging Solutions!